MUNICH, Germany -- The 18-year-old gunman who opened fire at a crowded Munich shopping mall and fast-food restaurant, killing nine people and wounding 16 others before killing himself, was obsessed with mass shootings, police said Saturday. Investigators searched the unnamed German-Iranian man's home overnight and found a considerable amount of literature about mass killings, including a book titled "Rampage in Head: Why Students Kill," but no evidence that he was linked to extremist groups such as the Islamic State. "(He) was obsessed with shooting rampages," Munich's police chief Hubertus Andrae told reporters. 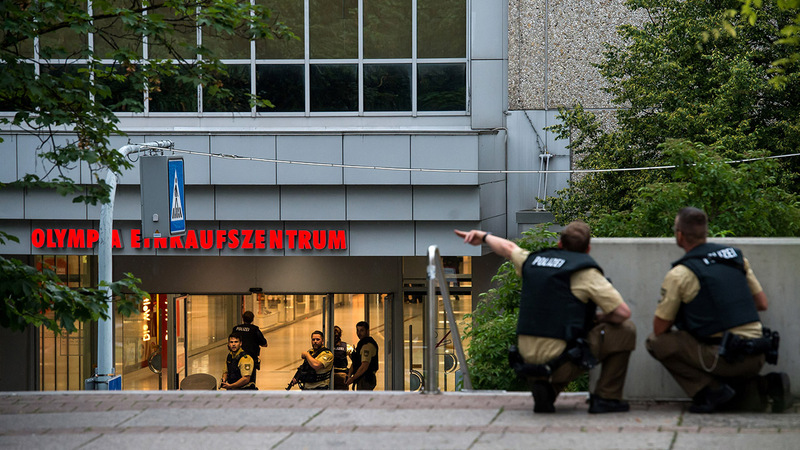 Investigators also found evidence that the Munich-born suspect had suffered from psychological problems and received treatment, but details were still being confirmed, said Munich prosecutor Thomas Steinkraus-Koch. Munich police spokesman Thomas Baumann said the attack started at a fast food restaurant in the mall shortly before 6 p.m. local time. 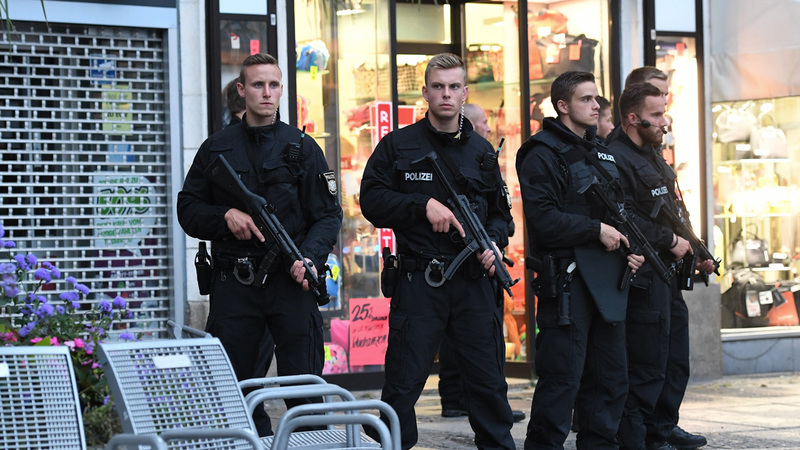 The attack in the Bavarian capital sparked a massive security operation as authorities - already on edge after the recent attacks in Wuerzburg and Nice, France - received witness reports of multiple shooters carrying rifles shortly before 6 p.m. (1600 GMT). Eight hours later police declared a "cautious all clear," saying the suspect was among the 10 dead and that he had likely acted alone. Some 2,300 police from across Germany and neighboring Austria were scrambled in response to the attack, which happened less than a week after a 17-year-old Afghan asylum-seeker wounded five people in an ax-and-knife rampage that started on a regional train near the Bavarian city of Wuerzburg. The Islamic State group claimed responsibility for the train attack, but authorities have said the teen - who was shot and killed by police - likely acted alone. The suspect's body was found about 2 1/2 hours after the attack, which started shortly before 6 p.m. (1600 GMT) at a McDonald's restaurant across the street from the mall. "I started to get texts from friends asking if I was safe," he said. "Then, my thoughts were: please, don't be a Muslim. Please don't be Middle Eastern. Please don't be Afghan. I don't accept any of this violence." "I was standing on the balcony smoking a cigarette. Suddenly I heard shots," said Ferdinand Bozorgzad, who lives in a high-rise building next to Olympic Shopping Center. "First I thought someone had thrown some firecrackers. I looked down at the McDonald*s and saw someone shooting into the crowd. Then I saw two people lying there. " Andrae, the police chief, said seven of the victim were teenagers; a 20-year-old man and a 45-year-old woman were also killed. All were residents of Munich, he said. "These are difficult hours for Munich," he said, adding that the city's citizens had shown great solidarity toward each other. "Our city stands united," he said.